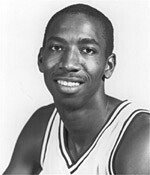 Drafted: Selected by the Seattle Supersonics in the first round (9th pick overall) of 1987 NBA Draft. Anything about the great Heavy D is always welcome! Great stuff!